John came down to open the shop at 7.15 in the morning to give prizes for the bus trip to Inch, the prizes were greatly appreciated. His shop sale ends today so if anyone wants to get some gear at reduced rates, call in today. 1st Comp Pts, Fish, 2nd Comp Pts, fish, Fish Total, total Pts. Early start to the day, earlier for some who forgot to change their clocks on Sat night. Left John O Briens shop at 7.30 travelled to tramore to pick up the lads there and onward for a stop in Cork to pick up one of the Cork lads. Stopped in Killarney for a provisions break and onward to Inch with a tour of Killorglan on the way. Arrived in Inch to a very windy onshore breeze, 5/6 big waves rolling in with a wind of about 15 Mph. check in was completed and the fishing took place at the far end of the beach, its a long walk, longer if you had to carry gear I would say. 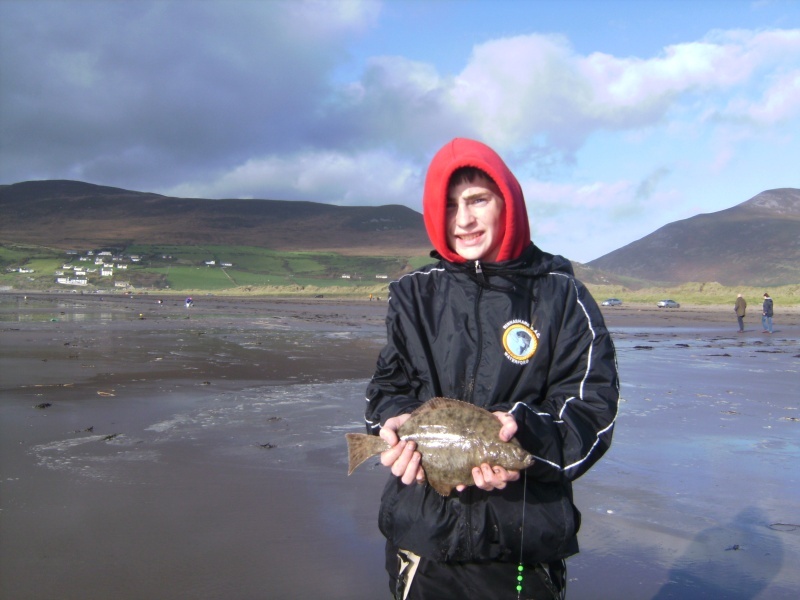 Due to the strong wind and high waves it was expected that fishing would be slow and flounder scarce. This was the case and showed at the end of the day with the small number of fish landed. Bass did not appear on the scene although the tide looked suitable. We left Inch after packing up about 5.45 and returned to Killarney for a break. Journey home was completed by 9.45 when we arrived in Tramore, and then on to Waterford for about 10.15. Overall I think most people were delighted with the day and looking at the results the local lads did well and still showing promise after the 2nd leg. With the next leg less than a week away the same effort will have to put in to preperation for the comp on Sun next in Youghal, so best of luck to all of them who travel on the day. 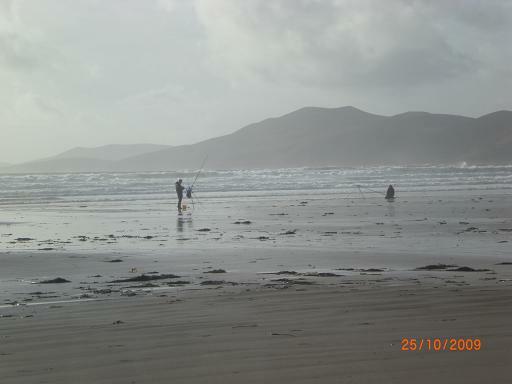 well done to all that fished and to all that caught the few crazy fish that were in the big surf.surprized there were no bass.